Online retailer Hijab Fashion Shop have recently brought in a new collection of scarves for Spring/Summer. I've previously reviewed a scarf from HFS, which you can read here. Today's review is for the Light Hijabs in Fresh Grey and Fresh Plum, and the Crinkle Hijab in Grey and Pink Flowers. As always, delivery was swift, and the scarves arrived in a bright pink envelope, with complimentary hijab pins. The colours of the scarves are quite vibrant, and all are incredibly soft and lightweight. Whilst both Light Hijabs have tasselled ends, the Crinkle Hijab actually has pretty crochet detailing at the ends, something I hadn't really noticed from the photos. The Light Hijabs especially are very soft and breathable, making them ideal for hot weather. Luckily enough we had a bit of sunshine last week, so I had the chance to wear the Fresh Grey scarf all day, and it definitely passed the comfort test! The scarves are all quite generously sized, but because they are so thin, they don't feel bulky at all. 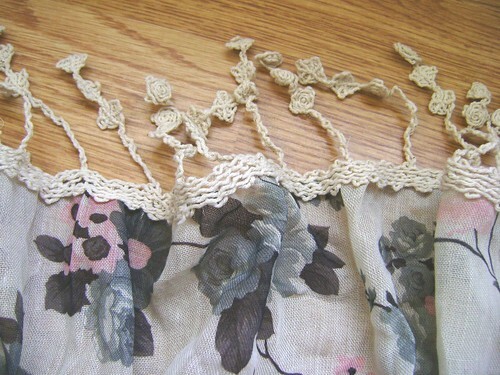 For this reason though, the Light Hijabs are very delicate, so I found that they snagged quite easily with pins. The fabric of the Crinkle Hijab though is much more durable. The lighter colours also are slightly see through at one layer thick, so you do need to be careful how to wrap them. 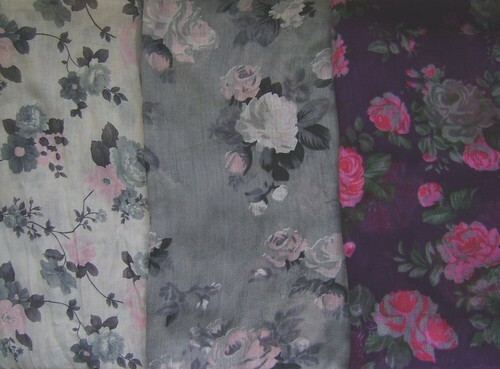 I loved the beautiful colours and prints on the scarves; probably the most stylish floral prints I've come across. They are all perfect for the coming warmer weather, or for taking on holiday. The quality of the fabric is not the best, but for the price (£5.50-£5.99) is actually very reasonable. And of course the customer service and sweet extra touches to the orders are brilliant! Disclaimer: I received these scarves in exchange for my honest review. The opinions and thoughts expressed are my own and I received no other compensation for my review. I really love these scarves! I'm really into the floral prints and they are just lovely. Depending on shipping charges since I'm in Canada, I might have to order some!